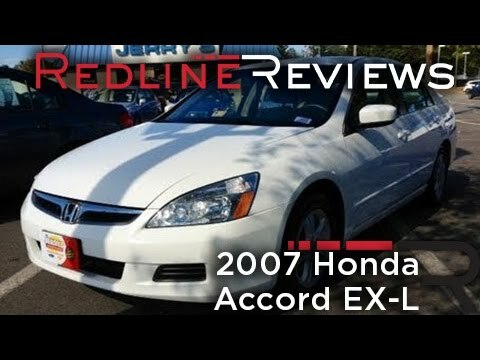 If you need a roomy family sedan with a bulletproof reputation for reliability combined with the interior amenities and all-around sophistication found in most luxury cars, check out the Accord. My car gets really good gas mileage. My vehicle actually performs very well. It drives real good and you know saves gas at least $40 a week saves and I can go to school and back and have no problems in my school is only like 10 minutes away from my house. It really also gets really good gas mileage to where I am not always having to buy gas or fill up the tank if you like I said once every week. My car has not left me stranded or anything it really runs good it just I keep having to do after every certain amount of miles I do an oil change. The outside is like a baby blue and the inside also the interior is very nice and the seats in the front or they're like bucket seats and you can there's a lever so you can move them up or down and then another level where you can move it forward and backward and you can even under the seat you can shift it forward and backwards so that your feet can touch the pedals. All in all this car is really nice and it is really economical and it can get you to where you need to go plus it does not break down very much and I really do not have anything bad to say about him actually I love my car his name is Azul, meaning blue in Spanish. High maintenance! Stylish, but pricey to keep up. Let me begin by saying, I am a Toyota person! Honda is okay, but the maintenance fees to me are too high. I had my Toyota for over 16 years and until the last few years, I never had to spend the kind of money I have spent on the Honda. I take it to the dealership and I really believe they charge you for some unnecessary stuff at times. It is nothing for me to spend $200 -$300 or more every 3-4 months when I take it in for service. The car sounds super loud when the A/C is blowing, but other than that I have not really had any major problems. I have leather seats which are super hot in summer, and a sunroof which I love. It is an older model so it does not have bluetooth or a backing camera. However, to me, it is a stylish car, but I hope to get a newer one in the next couple of years. Reliable and safe car for all. The car I own has very good gas mileage. I am able to drive about 230 miles on a full tank of gas. It is a very reliable and easy car to take care of. I drive on a very frequent basis, and I have never had any problems with the car when I drive long distances. I have had a few problems with my oil. I would change it and then a few weeks later it would say that I my oil life was low already. After changing from synthetic oil to standard oil, the problem was solved. It is also a very comfortable car. The interior has cloth seats that are easy to clean. Along with the looks of the car it has a sunroof which is very nice and operates well. Overall the car is one that is very easy to take care of and also very reliable. Honda (American Honda Motor Co.) is recalling certain model year 2004-2007 Accord vehicles manufactured October 1, 2003, to August 17, 2007. The affected vehicles may have been assembled with an incorrect passenger frontal air bag module that does not comply with the advanced air bag requirements. As such, these vehicles fail to comply with the requirements of Federal Motor Vehicle Safety Standard (FMVSS) number 208, "Occupant Crash Protection." Honda will notify owners, and dealers will inspect and replace the air bag module as necessary, free of charge. The recall began on May 2, 2016. Owners may contact Honda customer service at 1-800-999-1009. Honda's number for this recall is JZ3.